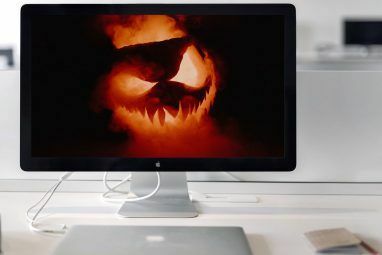 There are many ways the tech savvy can prepare 7 Tech Savvy and Fiendish Tips to Get Ready for Halloween 7 Tech Savvy and Fiendish Tips to Get Ready for Halloween With Halloween hot on our heels, procrastinators may have slipped behind on getting ready. Fortunately, thanks to the magic of the Internet, the lazy can catch up quickly with a few simple apps and sites. 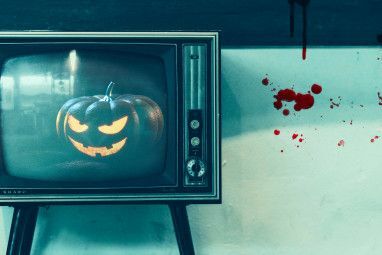 Read More for the creepiest of seasons, but why not add some final flair to your Halloween with some last minute creations? In this article we will cover 10 projects you can create without using a soldering iron. From simple and crafty to crazy levels of creepy complexity — let’s get started! We’re all familiar with the grinning pumpkin sat on every porch in the neighbourhood, so why not go one better with a totally distinct and geek friendly design? Deviantart user ceemdee comes up with amazing pumpkin designs every year. This past Halloween was no different, and this absolutely stunning Stranger Things pumpkin is the coolest thing we’ve seen carved into a vegetable for a while. Ceemdee is also responsible for the fantastic Minesweeper pumpkin featured in our awesome jack-o’-lanterns article. With designs going back as far as 2009, this is a gallery to keep an eye on for “think outside the box” pumpkin carving! While there are many fantastic ideas for high tech costumes Want to Create Tech-Inspired Halloween Costumes? Here's How Want to Create Tech-Inspired Halloween Costumes? Here's How Halloween is coming! Here are some ideas about how to meld tech with cosplay to create some of the scariest costumes around. Read More , sometimes it is hard to beat good old ghoulish makeup. With the many possibilities available to the intrepid DIY tinkerer, it’s easy to forget that simple ideas can work wonders. 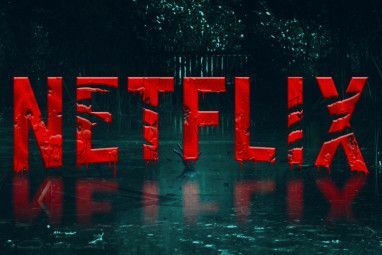 As well as large-scale lighting projects 8 Creepy Halloween Lighting Projects for Under $5 Each 8 Creepy Halloween Lighting Projects for Under $5 Each Halloween is right around the corner, and in this article we will cover several cool lighting projects that all come in at under $5. Read More , filling out the dark corners of the house and garden can add to the overall effect. In terms of simplicity, it is hard to beat these Can Lanterns made by Pierra Jolly. By filling the cans and freezing them before creating the holes, any chance of warping the shape is eliminated, leaving a good looking result using practically no tools whatsoever. As a bonus idea, adding dollar store colored lights to the cans rather than candles can really change the overall look of the project. This can be a perfect project to do with children to introduce them to DIY craft projects. Jack O’ Lanterns are not the only thing you can make with pumpkins this Halloween. Sheila Schmitz really thought outside the box by taking a taller, thinner pumpkin and combining it with a much smaller one to create these incredible black cat-o’-lanterns. The guide shows you how to carve out the “head” of the cat to give it glowing eyes, and paint the whole build glossy black afterwards for the ultimate witch’s cat effect. Don’t forget the cucumber tail! Everyone secretly wants to be an astronaut, and no budding astronaut can truly be taken seriously without a good helmet. Never fear space cadets! Lara Sorokanich has the perfect solution for you. Using premade styrofoam parts available at any good art supply or model store, this helmet manages to look fantastic without costing the earth to make. The build itself requires few tools to put together, with all of the connections being made with hot glue and then hidden using silver fabric. It’s worth noting that there are many different NASA patches available, so take your time to choose your favorite! For a slightly higher tech costume, why not bring the deep ocean to your neighborhood with a floating glowing jellyfish costume? The build, by Ashleigh at costume-works.com, uses a clear umbrella along with battery powered EL wire to turn a human into a sea dwelling luminescent Medusozoa! The guide also includes instructions on how to create a kids version using an umbrella hat, making this the perfect costume for the whole family. While the effect this costume has is stunning, it is incredibly easy to put together, using only zip-ties and safety pins, making this a perfect costume to take apart and store for use in years to come. Don’t have time to gather all of the parts together to make this? The exact same costume can be made using an old hat, some card, and some black bin liners to create a inky black squid of the deep on a budget of almost nothing! Heading back to slightly more familiar techy waters, Mark Rober has created a multitude of awesome costumes over the years. One which stands out for both it’s genius simplicity and great effect is the iPad Hole in the Belly. As the video shows, by using the already ubiquitous Facetime app and simply starting call between the front and back iPads, you create the illusion of a gruesome hole all the way through the midriff. Certainly one to catch the attention of any off guard party goers! Drones are becoming more and more accessible to all, and there really are options for people on almost any budget. While no-one is sure who first dressed their drone up like a ghost, we are so very glad that they did. The above example comes from YouTube channel motoshane, and uses a Tricopter drone he built himself. All that was added was a lightweight ghost mask and sheet costume along with a couple of lights, though the effect is spectacular. The only thing breaking the effect is the sound of the rotors, but who knows? Maybe that’s just what real ghosts sound like? Are you a photography fan? Are you so enamoured with your DSLR camera that you sometimes wish you could actually be one? Well this is for you! This working DSLR Costume wins our prize for most bonkers costume we have ever seen, and it is deceptively simple to make yourself. This amazing invention was built by Instructables user tylercard. The tech side of this build comprises of an old laptop, an external flash and shutter release, and of course a DSLR camera. By separating the laptop screen from the body, tylercard was able to create the back facing display for the camera while storing the body in the side of the cardboard camera frame. While appearing really complex, the beauty of this costume is that it is comprised of cardboard and a plastic bucket. Parts easily available at all hardware stores. While the laptop does need some disassembly, all of the parts that make it work don’t need any actual modification. This means that once you have amazed everybody and won prizes for best costume all over town, each bit retains its function for future use — or perhaps even more outlandish costume ideas! Lets face it, all of these ideas are wonderful, but sometimes you just don’t have time. Halloween has snuck up on you, the party is tonight and you have no costume. What to do? Perfect. This post by Instagram user theklopf might just be the quickest way to get around the dreaded no costume panic, while retaining your geek street cred. Not a Scare in the World! These are just a few ideas that we found to be a little different to the usual tech-geek Halloween projects, hopefully it gives you a little inspiration for this coming holiday. We look forward to seeing what you come up with yourselves this year! Why stop there? There are some wonderful ideas for treats you can make 10 Awesome And Creepy Halloween Treats You Can Find On Instagram 10 Awesome And Creepy Halloween Treats You Can Find On Instagram Given how people love to show off food creations on Instagram, we headed there to check out some of the awesome and creepy Halloween treats Instagrammers have come up with. You can make them too! Read More for your party, and while you are munching on them, why not share a few tech horror stories 13 Terrifying Tech Stories to Freak You Out on Halloween 13 Terrifying Tech Stories to Freak You Out on Halloween It's horror reimagined for the digital age: the web's best scary stories for the tech generation. Read More with your friends? 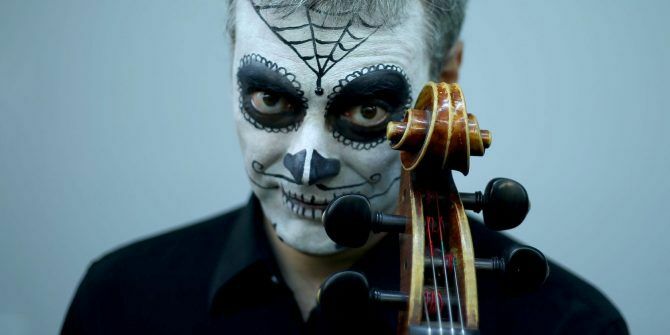 Have you created a simple but scary idea for a costume or decoration? Is your house the best in your neighborhood on Halloween? Let us know in the comment section below!